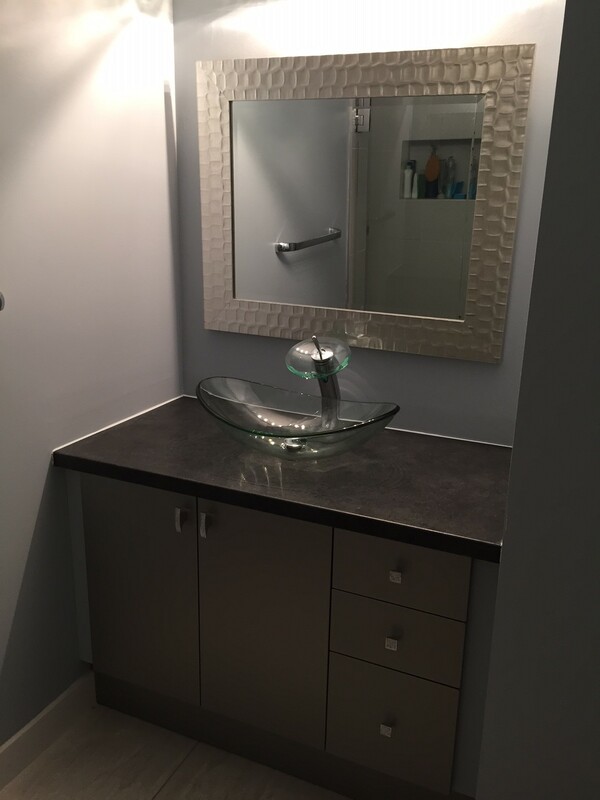 Instead of starting from scratch, we used the existing vanity, refaced it with a contemporary slab door (in Chocolate Pear), new hardware, new counter, taps, and vessel sink. 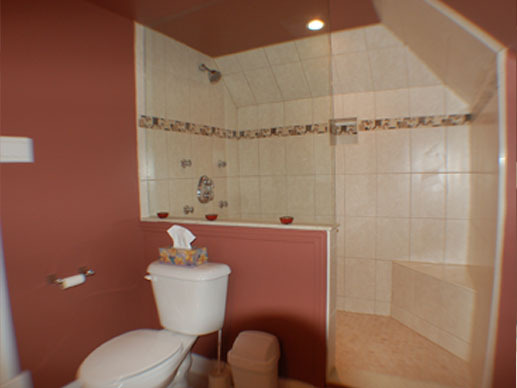 Not every bathroom needs to be a full strip down and rebuild. 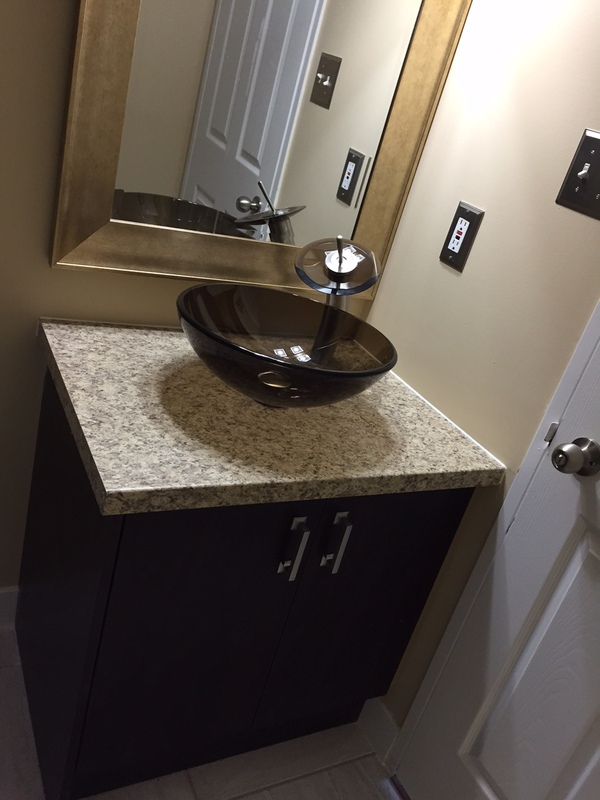 In this case, the vanity was refaced with a brushed aluminum slab door, new counter, and a vessel sink installed. 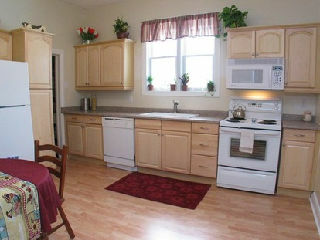 A galley kitchen in a condominium. 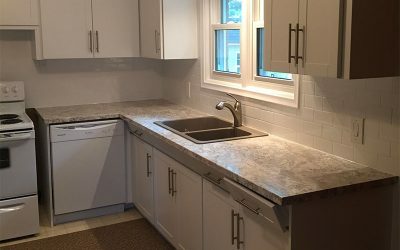 They went from a standard white to a slab fossil grey door with brushed nickle handles. Also upgraded the counters. 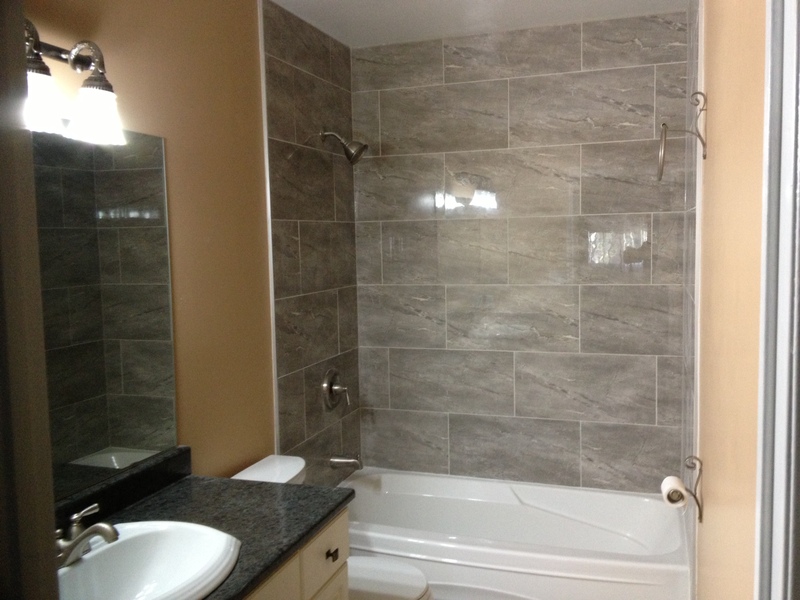 While it's a laminate, it has a decorative edge and a superior finish - laminates have come a long way. 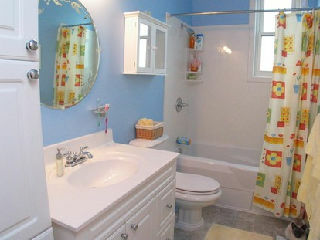 If the layout is working, there are ways to upgrade your bathroom without ripping everything out. 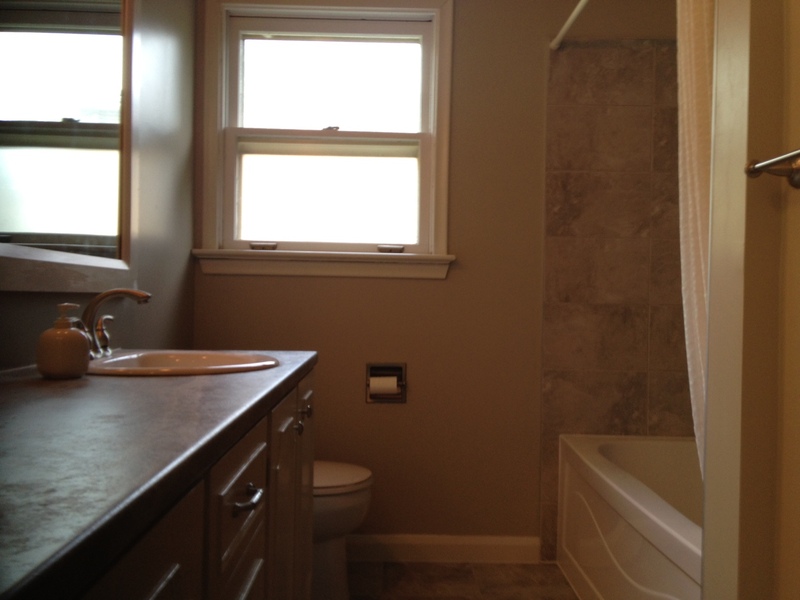 Check out the Project Scrapbook for more pictures of this renovation. You don't always have to break everything! In this 4-piece update, some of the old components (that didn't look dated) were re-used. 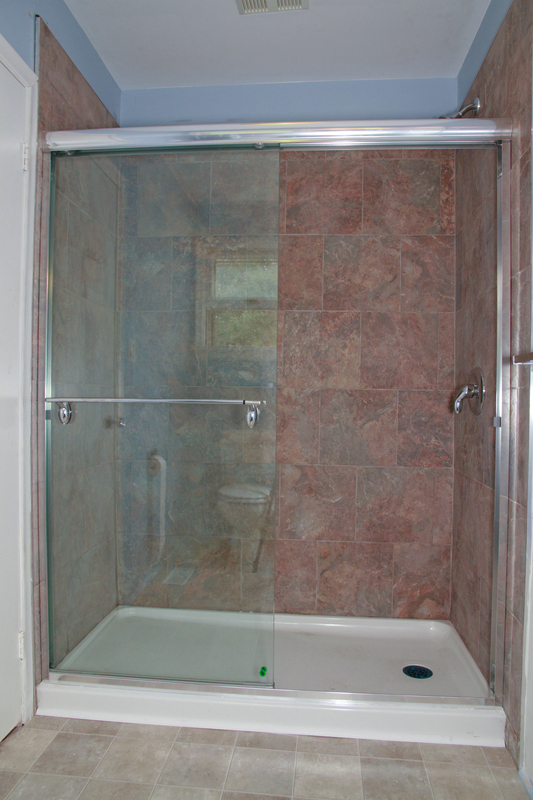 Turned an used 2nd bathroom with a yellow cast-iron tub into a walk-in shower with Maax glass doors. 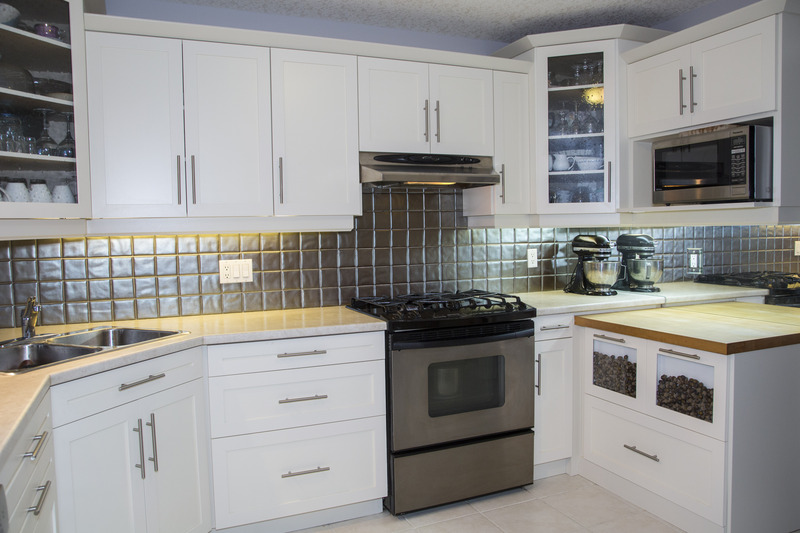 An antique white shaker-style (Prestige line, model SK00) with a 7" pull brushed nickle handle. 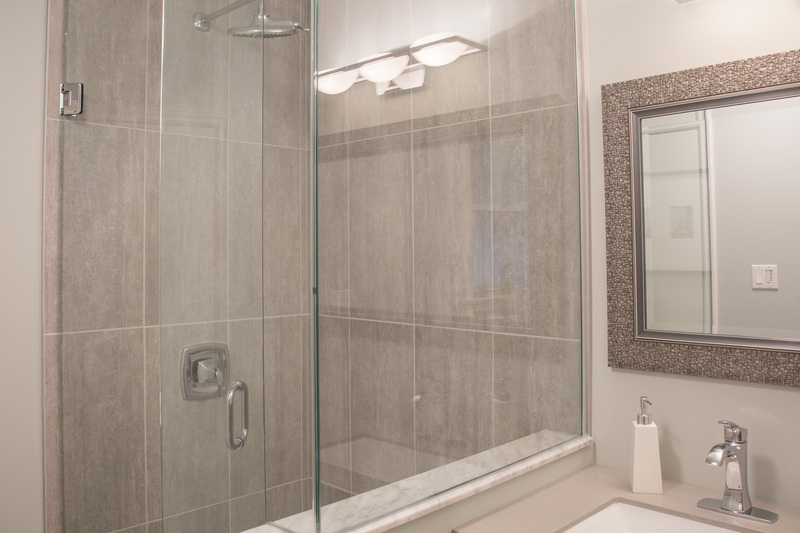 Turning a small 2-piece into a 3-piece featuring a walk in shower with custom shower pan. 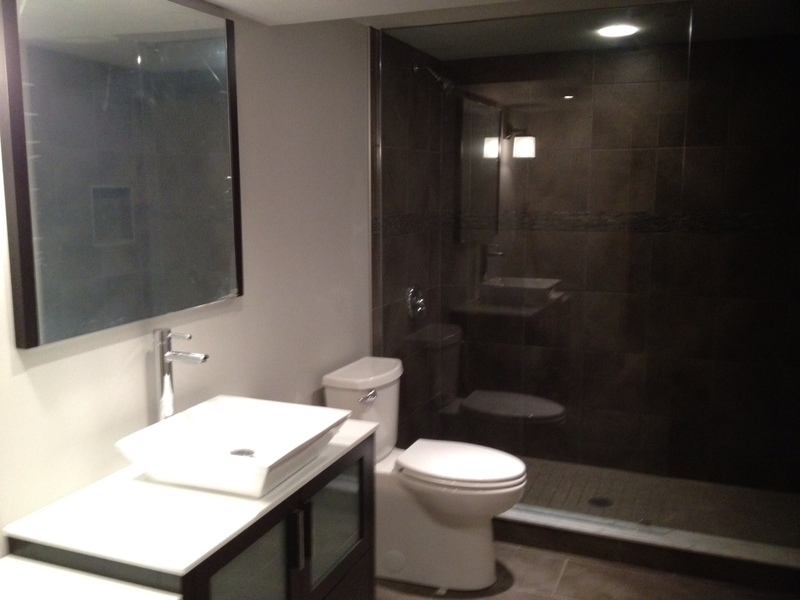 Check out the Project Scrapbook for more pictures of this renovation. Sometimes old is just that…old. 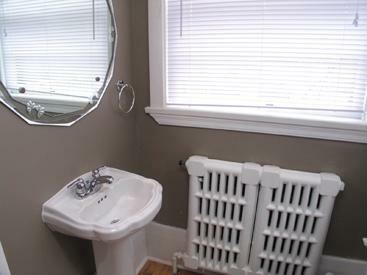 Yet the customer wanted to keep the character of the century home. 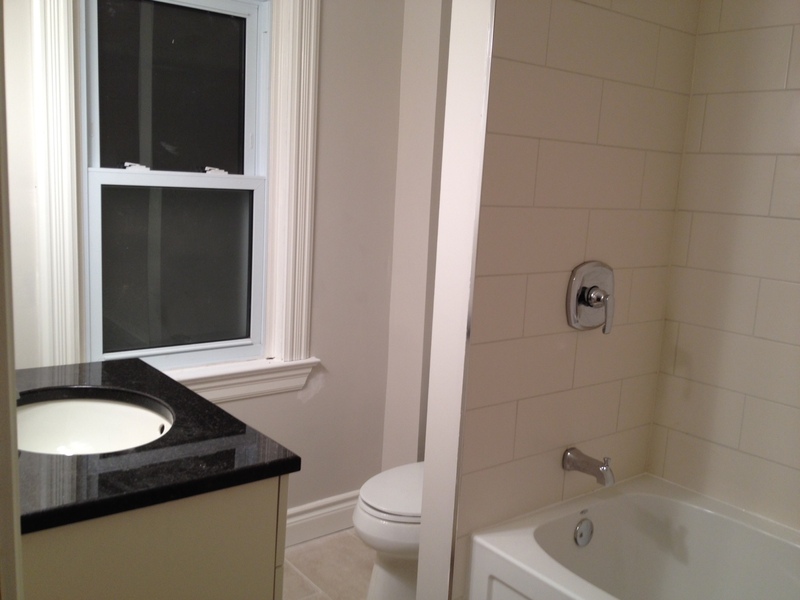 Check out the Project Scrapbook for more pictures of this renovation. 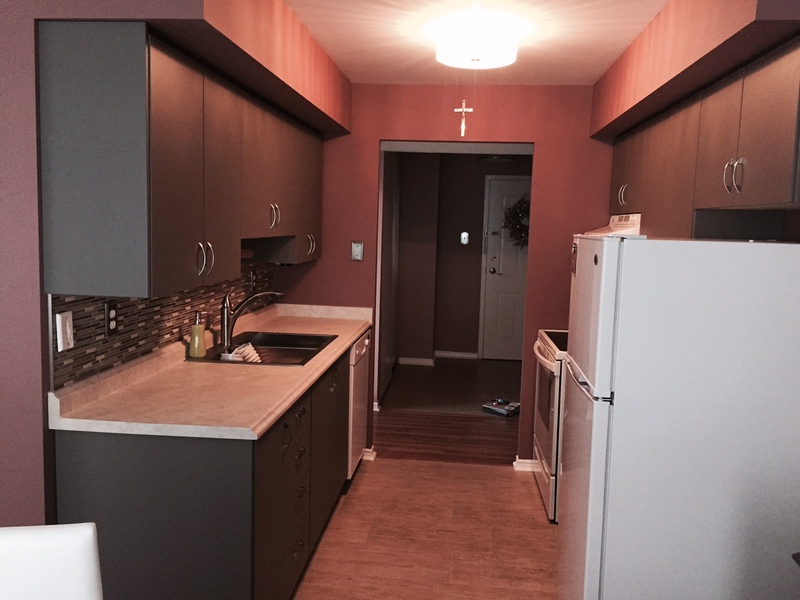 Transform from a dated, awkward layout to a more usable, pleasing style. 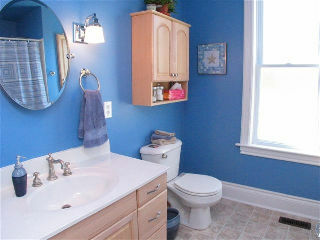 Not only was this bathroom dated, it was too small. We expanded into some underutilized space. 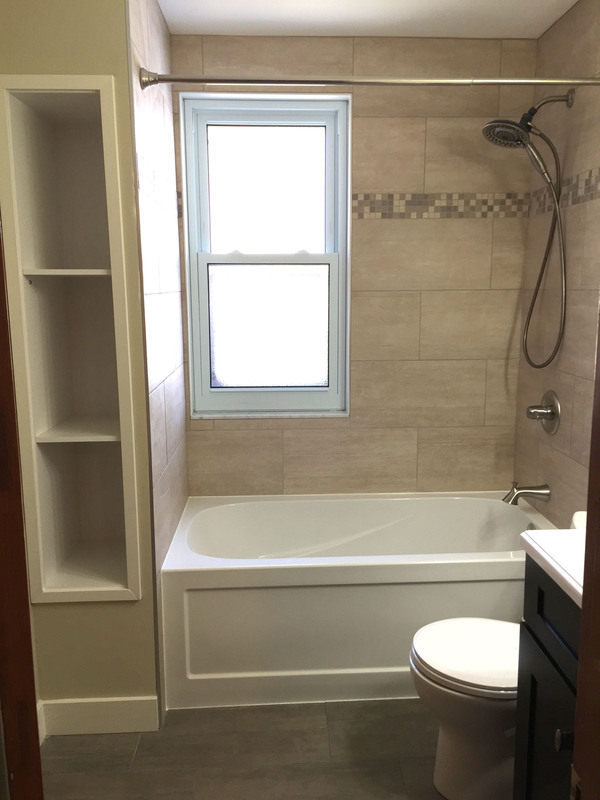 Sometimes, your space is good--you just want to update. Little mess, cheaper, and faster. 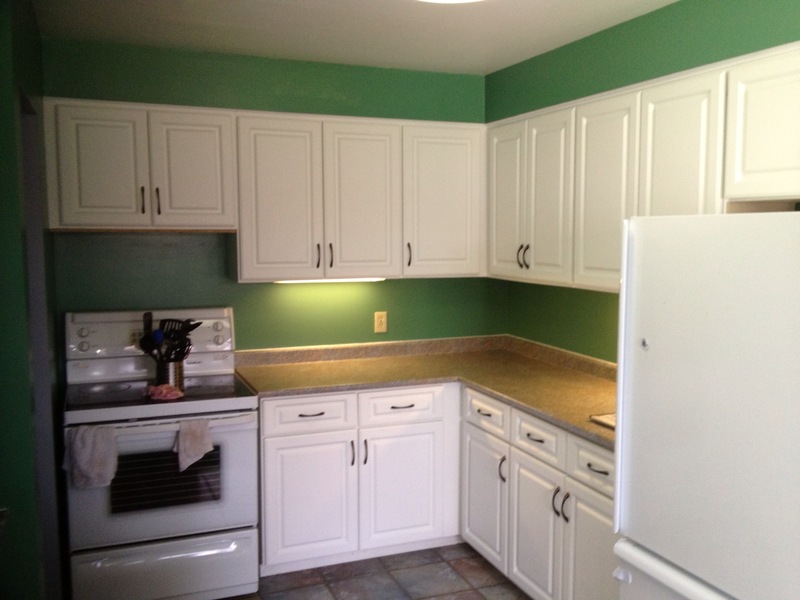 Cabinets refaced and new counter tops and fixtures. 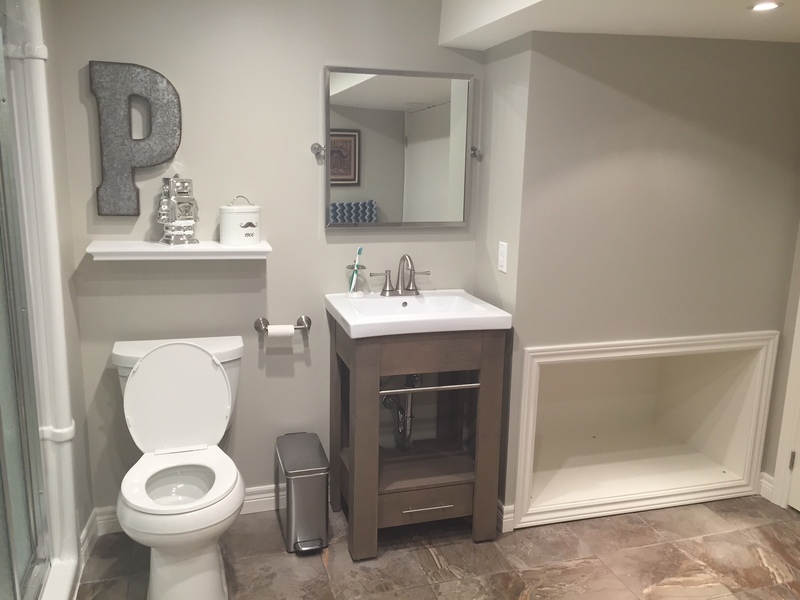 Revival turned this former laundry room into a 2-piece washroom. 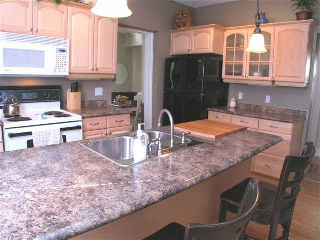 Sometimes there is absolutely nothing wrong with your kitchen - but after 25 years it's time for a new look. 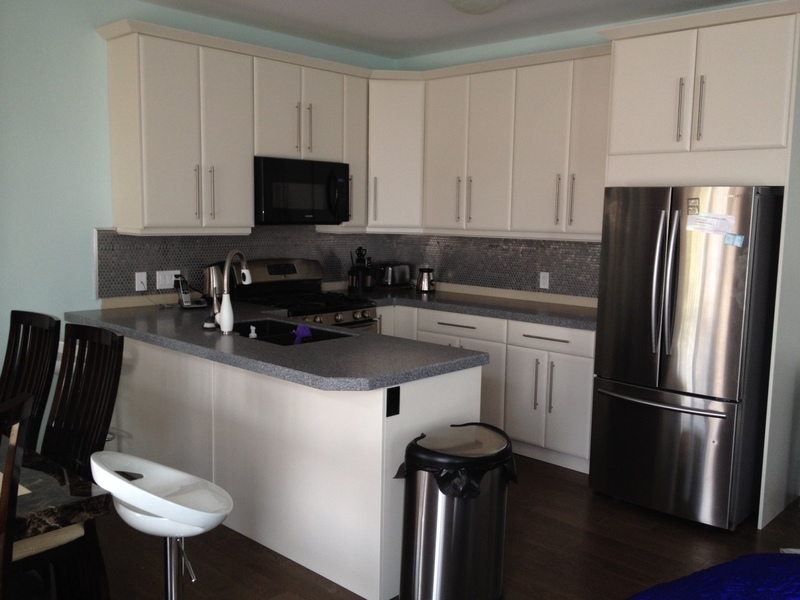 Here they went from slab cream-coloured doors to a dark walnut shaker-style cabinet. 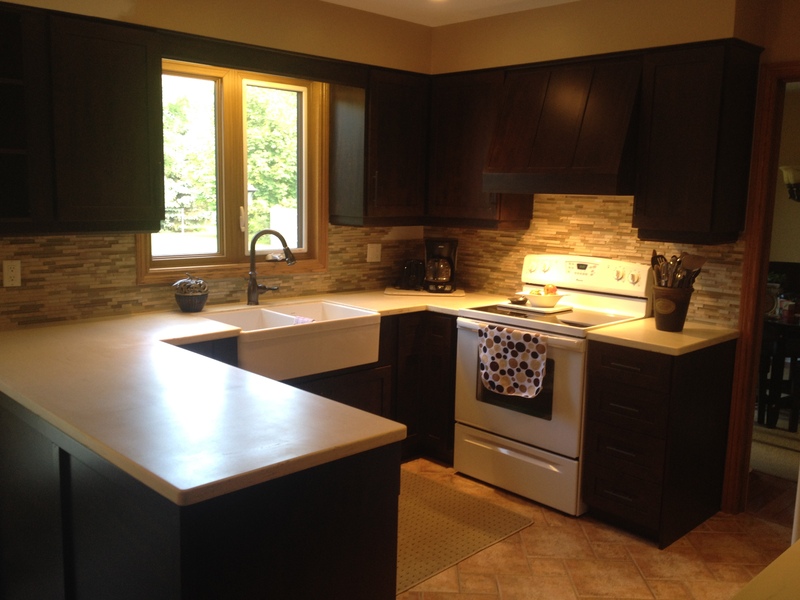 Refacing: Antique white pillow slab doors and Corian countertops. 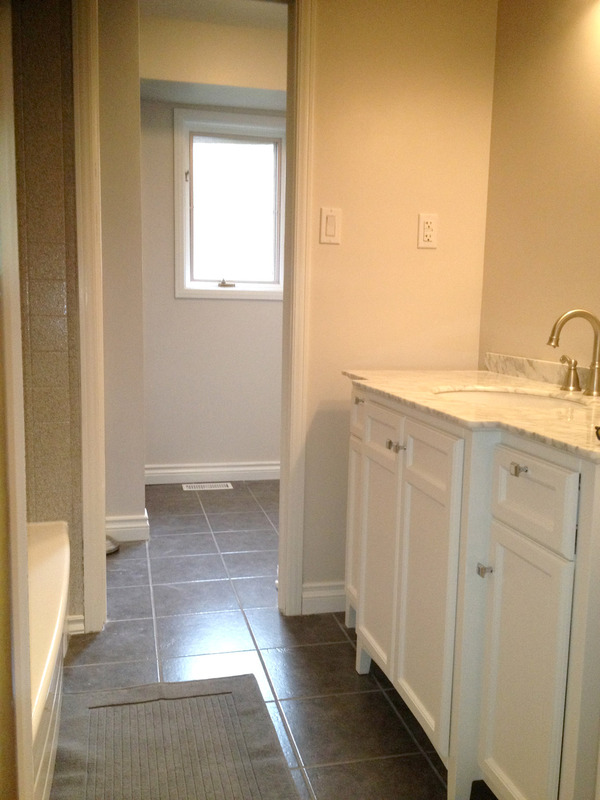 Turned a disorganized laundry room with poorly used space into a spacious 3-piece bathroom and laundry room. 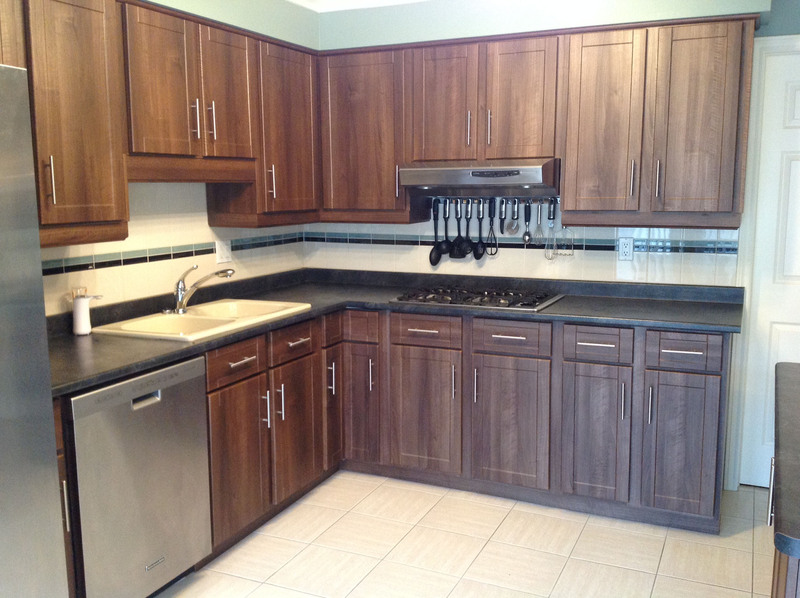 The original honey oak (popular in the 1980s) replaced with a 5-piece Prestige line door in Chocolate Oak. 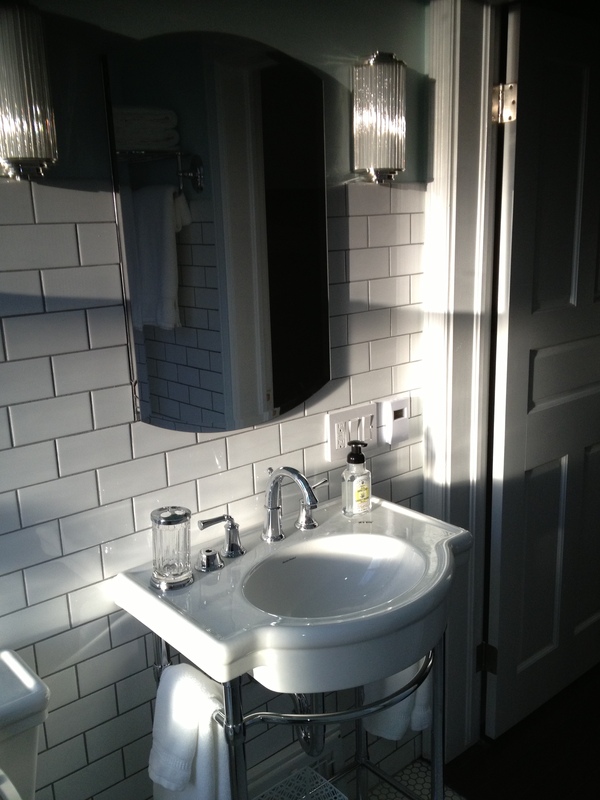 Some additional changes: converting bottom doors to pot-and-pan drawers, farm-apron sink, custom vent hood. 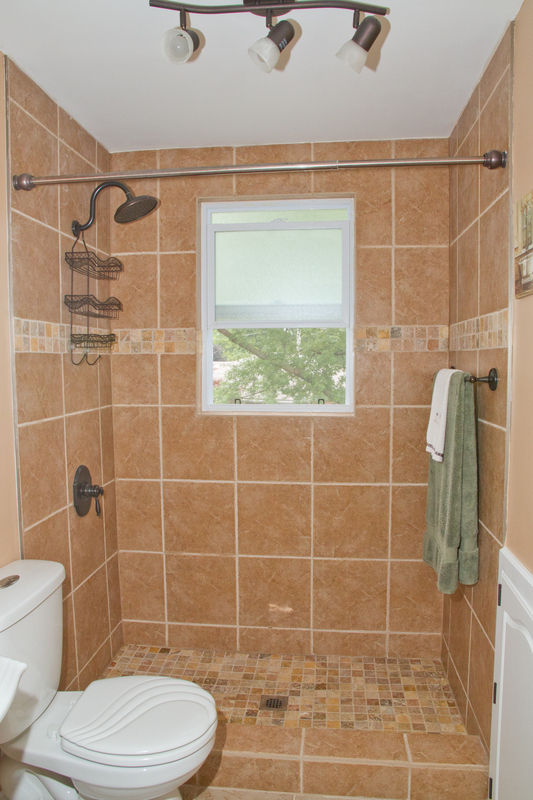 Replace the original doors and hardware with something fresh. 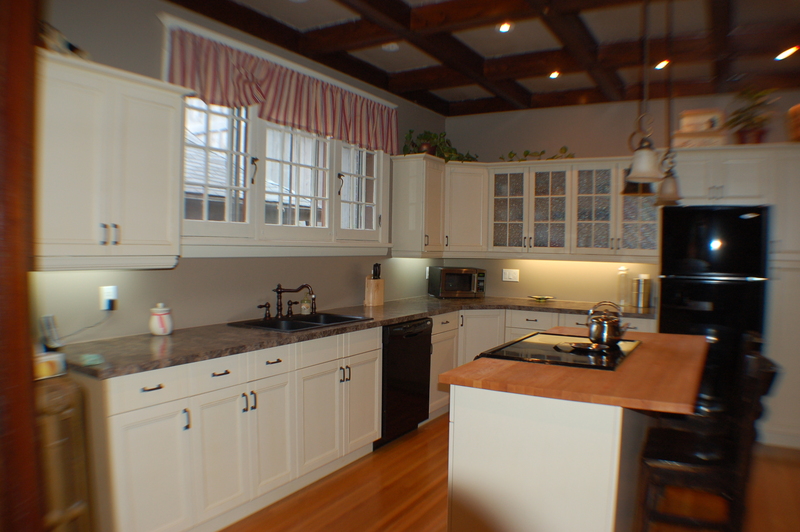 At the same time, we upgraded a few components and created a new kitchen. 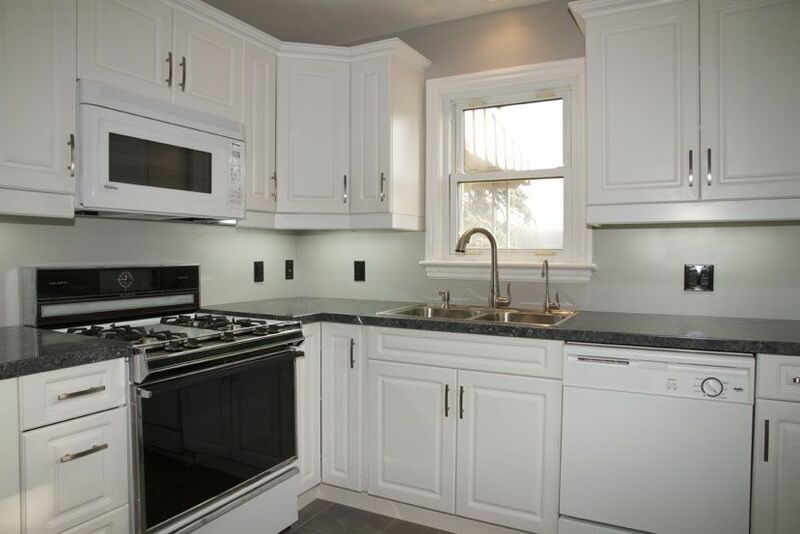 Cascade White with the 10000 style door. 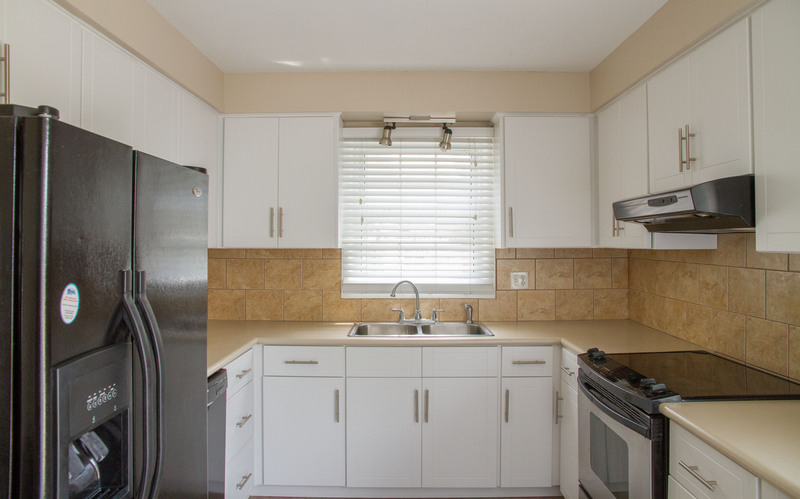 If your cabinets are dated but in good shape (and you like your kitchen layout) then you might want to consider refacing. 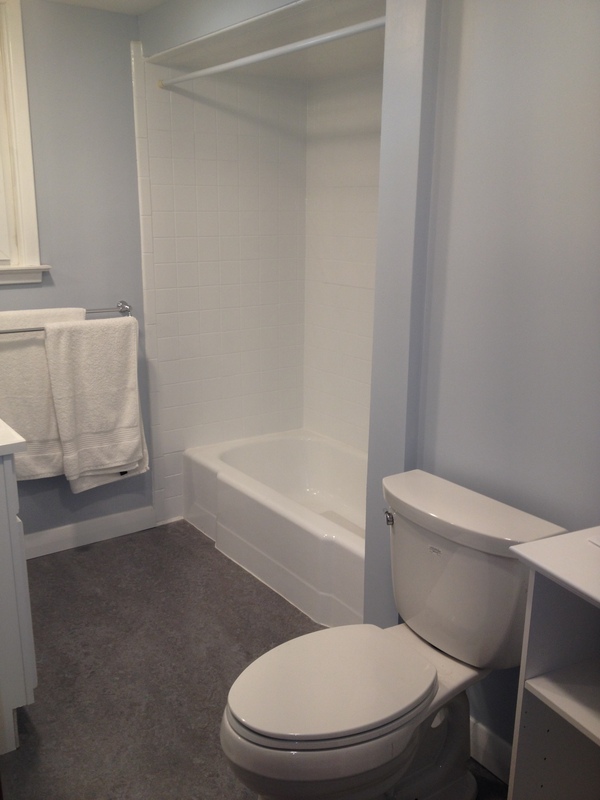 About 30% of the cost and without the mess and disruption of a full renovation.